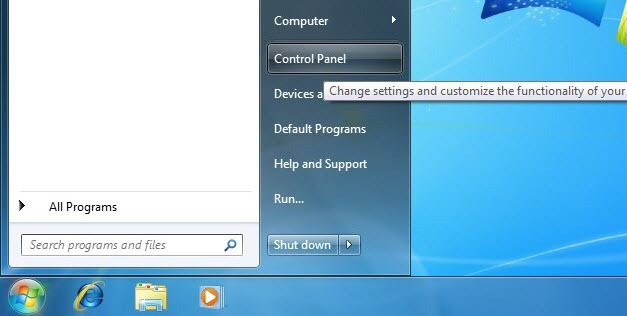 The first thing that we must do is to gain access to the Windows 7 Network and Sharing Center. If you have followed my steps in my static IP configuration article, then you should already know this and can skip to the meat of the article below. There are several views which are available for the control panel; by default the category view is used. When using the category view, the option that you need to select is called View network status and Tasks,as shown below. This will bring you to the Network and Sharing Center. 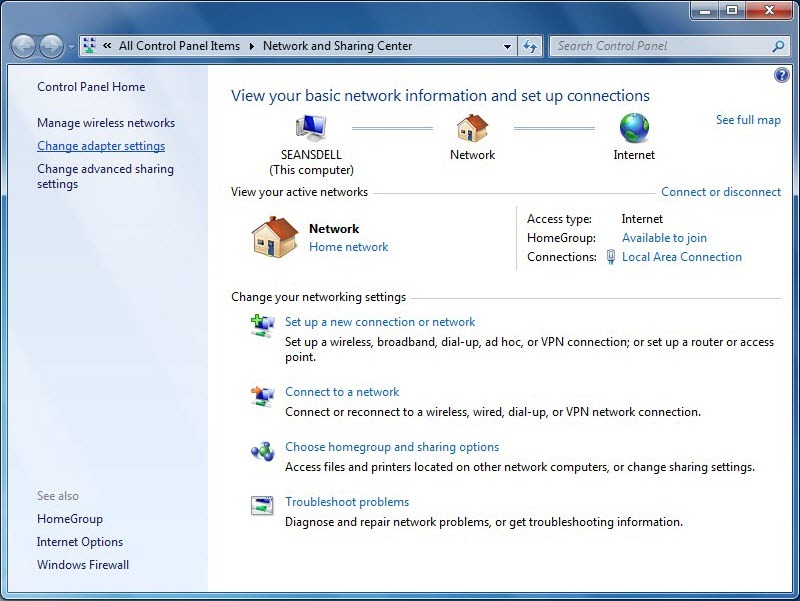 The second way to gain access to the Network and Sharing Center is through the network icon which is displayed in the system tray when a network interface has been enabled. When you right-click this icon the option to open the Network and Sharing Center is given. 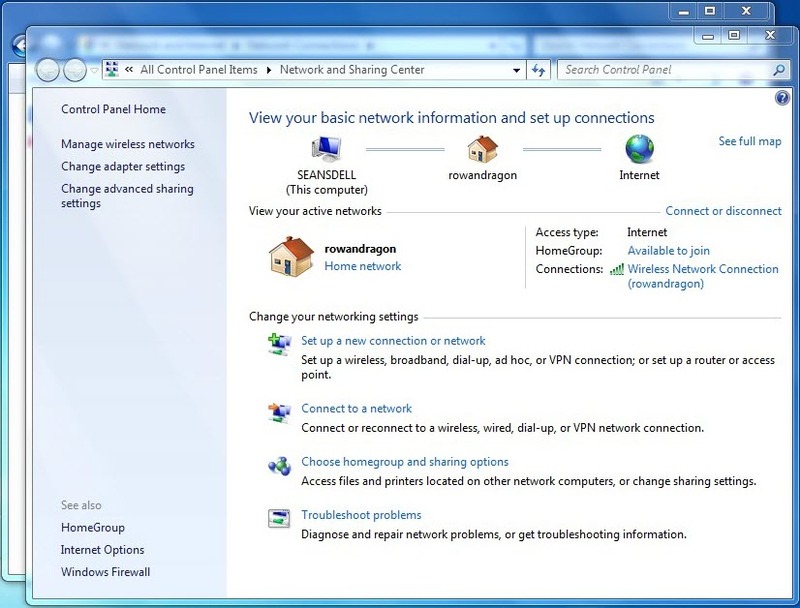 Once the Network and Sharing Center is open there is an option which allows the change of adapter settings which is shown in the upper left hand corner of the window. 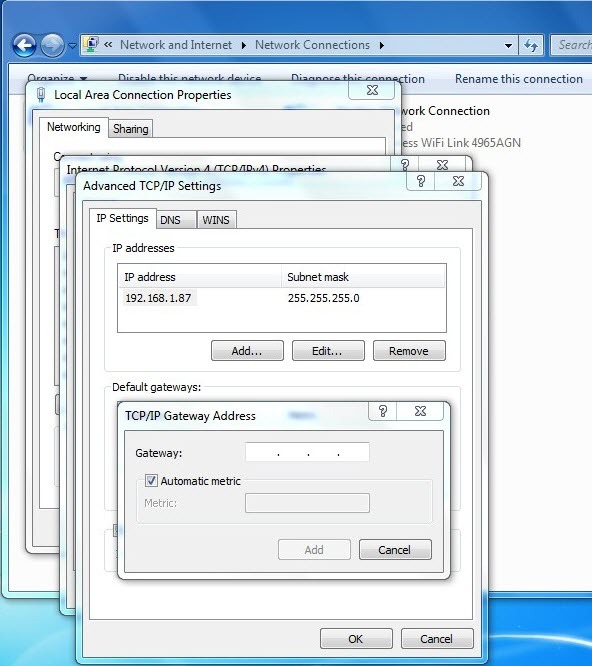 Once in the Network Connections window, you can select an interface (either wired or wireless) that you want to configure with a static IP address. By right-clicking on the correct interface a sub-menu pups up; from this menu you can select the properties option. Once the properties option is selected the interface properties windows will be displayed. This screen gives the option to configure a number of different network parameters. This section is focused on advanced IPv4 configuration parameters, to configure these settings select the IPv4 option. Once the IPv4 option is selected the properties button will be enabled, press on this properties button. When the properties button is pressed the IPv4 properties window is shown. From the IPv4 properties screen you can choose to enter static IP or DNS entries, configure the use of multiple IP addresses on a single interface, configure the use of DNs suffixes, WINS servers and change the setting of NetBIOS over IP. All of these different tasks are shown below. 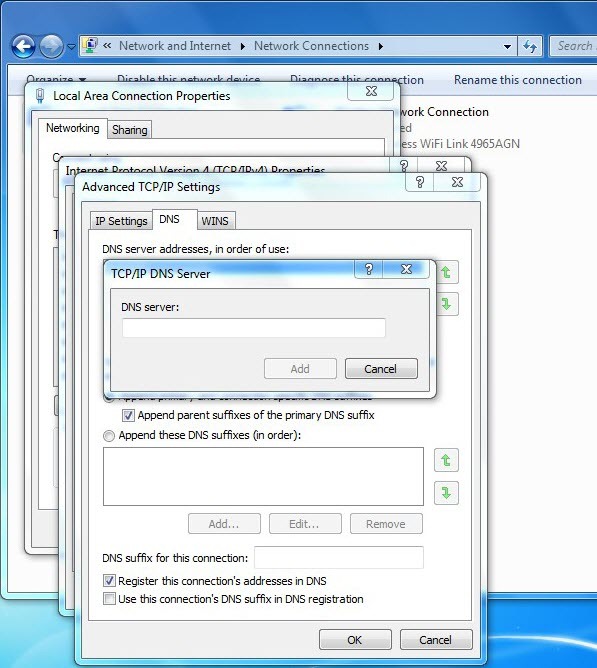 The following figure shows that a static IP address and DNS address(es) can be configured from the main screen. It is possible to statically configure DNS servers while also obtaining an IP address automatically but it is not possible to have DNS servers obtained automatically with a static IP address. If more advanced configuration is required then the use of the advanced IPv4 settings is required. To gain access to these settings press the Advanced button. 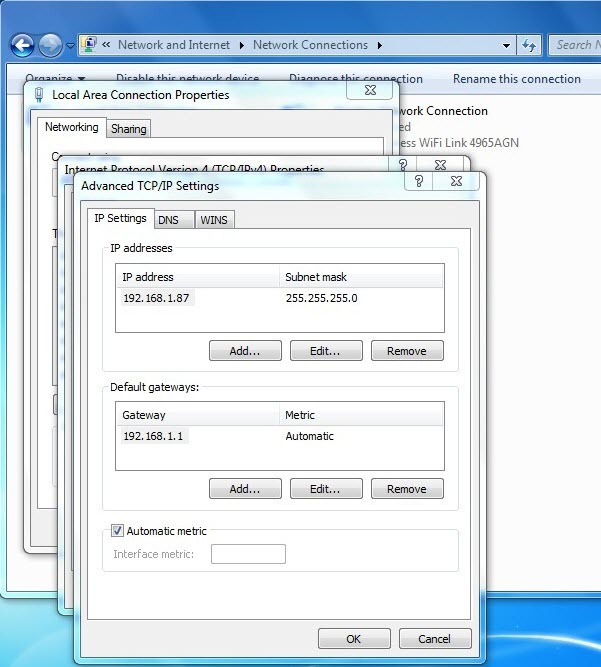 The IP settings tab gives the option to add multiple IP addresses to the interface, (this is typically used when an IP address transition is happening from one IP network to another; this gives the ability to speak on both networks), multiple default gateways to the interface (keep in mind that each new network will require a matching gateway which is reachable from that network) and the configuration of a metric for the interface. The next tab is the DNS tab; this tab gives the option to add, edit and delete specific DNS servers as well as configure DNS suffixes. DNS suffixes are used when trying to do DNS lookups. For example, if trying to go to a server named 'test.here.com'. If 'here.com' was set as a DNS suffix and you tried to connect to 'test', Windows would try to lookup test by itself and if unsuccessful it would append the suffix here.com to get 'test.here.com'. The final tab is the WINS tab; this tab is used to configure parameters specific to NetBIOS name resolution. By default, NetBIOS names are looked up using a broadcast mechanism. If a WINS server is setup on the network then it can be queried first when a NetBIOS name is used. In order for this to happen the WINS server must be added through this tab (this is also an option which can be given out via DHCP). The second option available on this tab is the NetBIOS setting; this setting enables or disables the use of NetBIOS over IP. If sharing is to be used on the network via NetBIOS names ("Windows" names) then this must remain enabled and is enabled by default (this can also be set via DHCP). 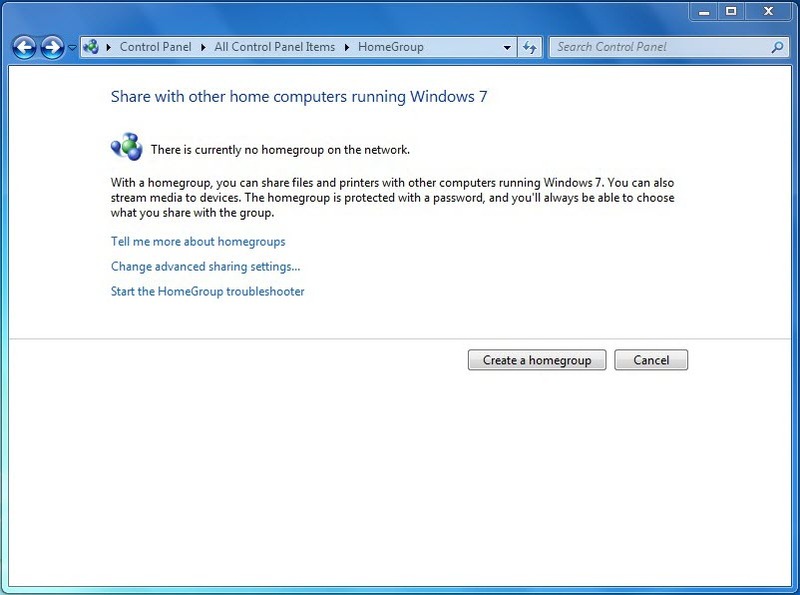 A new option which was introduced with Windows 7 is HomeGroup. 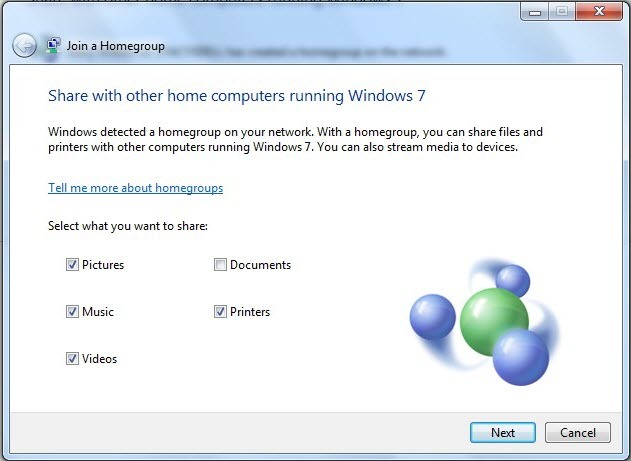 HomeGroup allows Windows 7 machines to be linked in an easier way which makes the sharing of resources between machines much simpler to setup. Each machine must become a member of a HomeGroup in order to utilize this functionality. The first thing that must be done on the first computer used is the creation of a HomeGroup. This is done through the Choose HomeGroup and Sharing Options in the Network and Sharing Centerwindow. 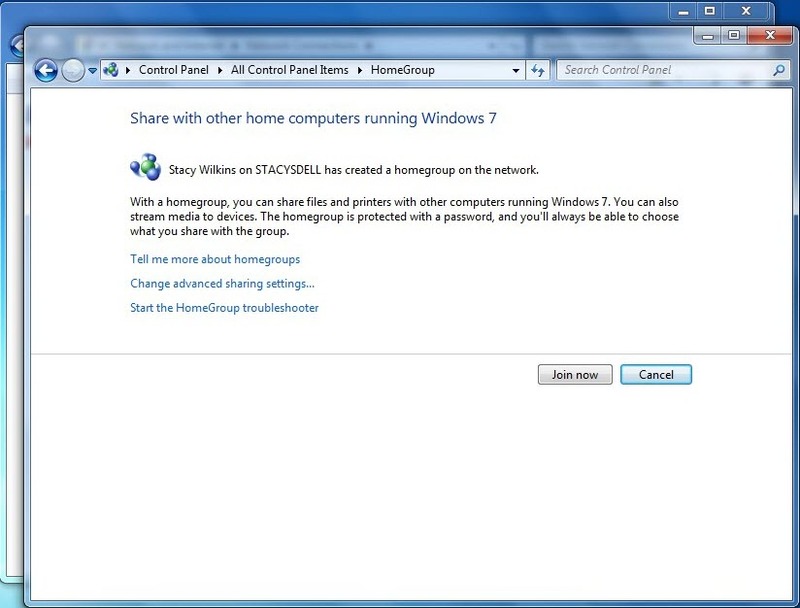 Once this option is selected, the HomeGroup window is displayed. Once a HomeGroup has been created on a network, all other participating computers must join it. In order to join the HomeGroup, the HomeGroup password shown in the figure above is required (this can also be changed). The following figure shows how the HomeGroup window will display when there is an existing HomeGroup on the network. Once this is shown, simply press the Join now button and select the local shared options and enter the HomeGroup password. Once this is complete the machine has become part of a HomeGroup. 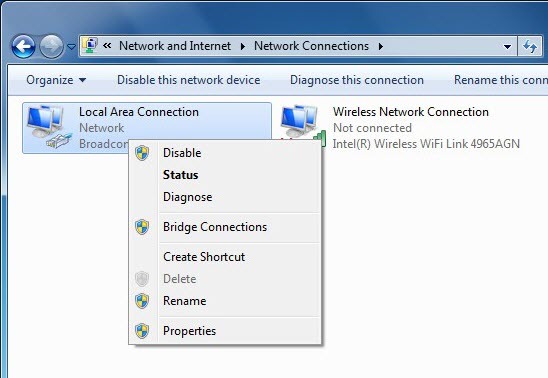 Another feature which can be used with Windows 7 is network location. Everytime a new network connection is established, a prompt will be given to select what type of location the new network connection is. The three options are Home, Work and Public. 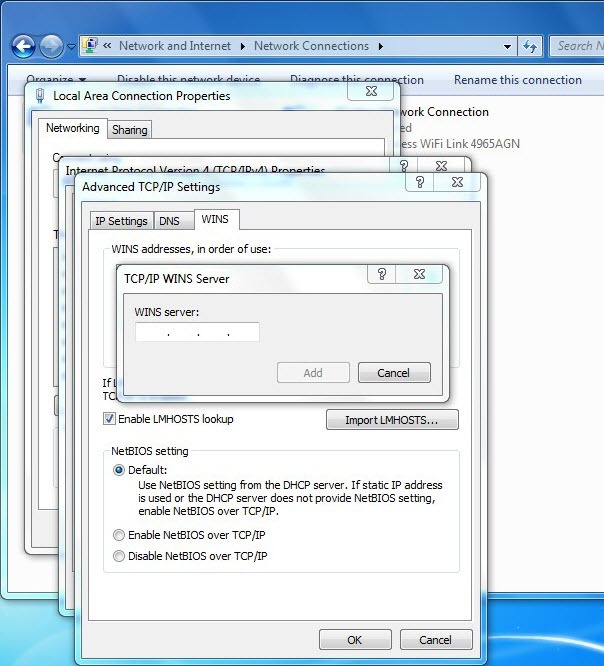 When using the Home location, network discovery and HomeGroup are enabled which allows the easy networking of Windows machines. The Work location is similar to the Home location but disables the use of the HomeGroup functionality. The Public location is the most secure and disables the various sharing functionalities which are enabled then in the other locations. The current location which is selected is shown in the Network and Sharing Center under View your active networks and can be changed by selecting the current setting. 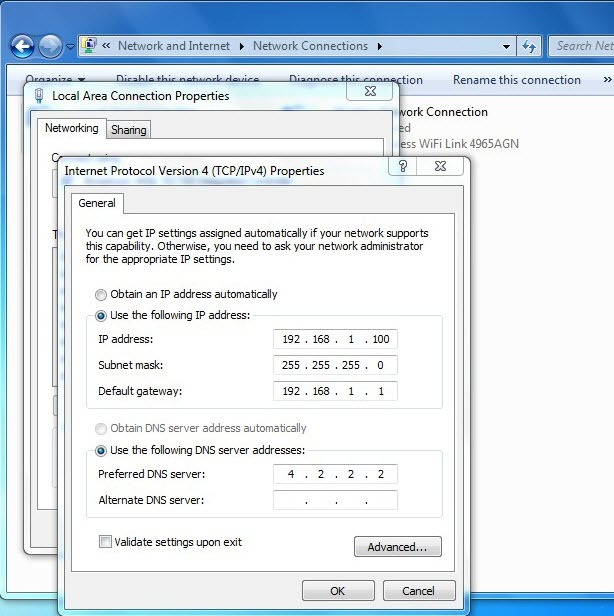 Once the setting is selected the Set Network Location window is opened which enables the configuration of a different network location. 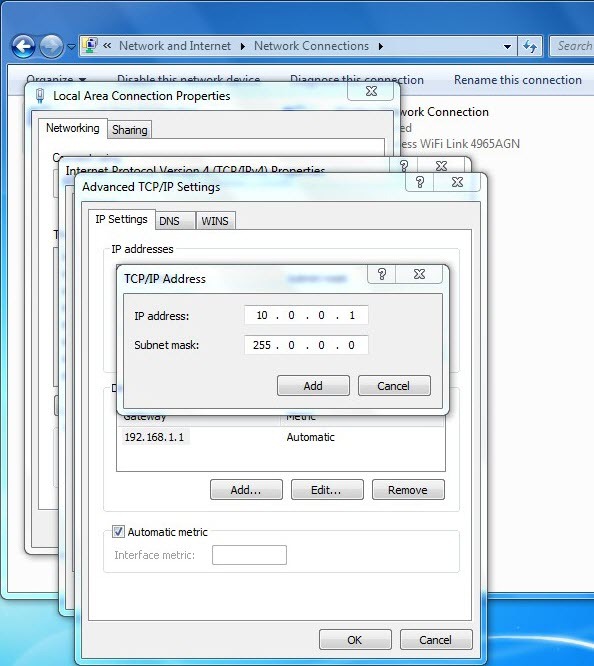 This window is also the same window which will be used to prompt initial network location selection.